For those that are in need of a simple tent to use on the occasional weekend pop up camping tents could be just the ticket. The FiveJoy Instant 4-Person Pop Up Dome Tent is one of the highest rated pop up camping tents online. There are pluses and minuses to getting a pop up camping tent. 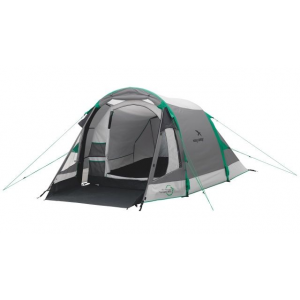 Lets briefly go over those so you can better determine if this style tent is the right one for you. 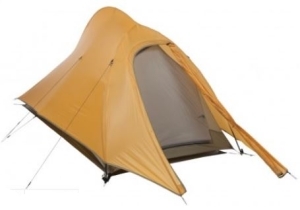 On the positive side, pop up tents tend to be some of the least expensive tents. They are also easy to set up and take down, an added convenience that maximizes camper’s time relaxing in the great outdoors. Another plus for pop up camping tents is they tend to be lightweight and portable. On the downside, these tents typically aren’t made to withstand adverse weather conditions. Even for tents that are supposed to be waterproof, pop up tents typically leak if there is rain. They also tend to be generally less durable than other styles of tents as they’re made for occasional rather than regular use. 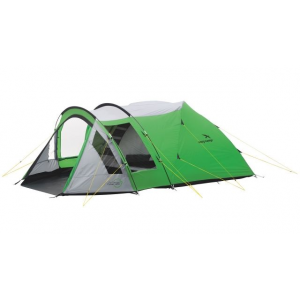 If you think a pop up tent is the right choice for you browse the comparison table below. In the table you’ll be able to quickly assess some of the top rated pop up camping tents based on square footage, height, price, and average rating. Hopefully the comparison chart was helpful in pinpointing pop up camping tents that will work well for you. Below we go into detail on a few of the most popular options. 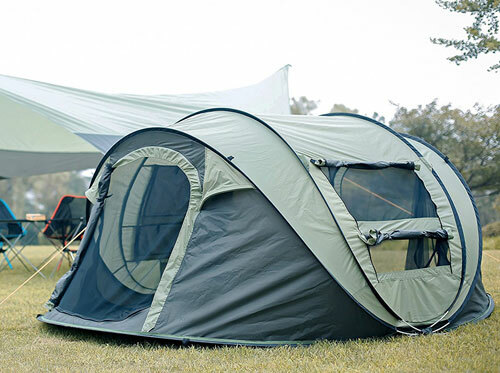 The Zomake Pop Up Tent is a surprisingly spacious and affordable option. 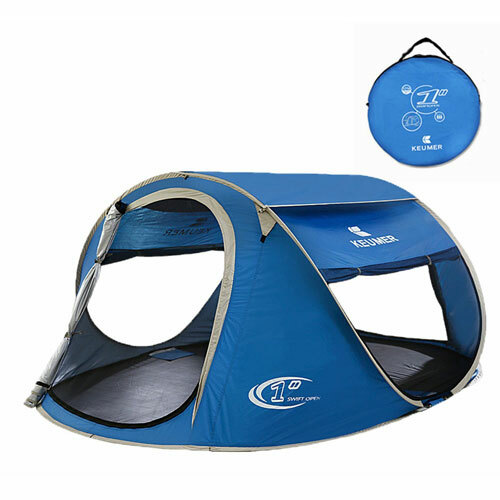 While the tent is primarily intended for day use at the beach, it is also suitable for casual camping trips in good weather. Be advised that this is not a tent that is built to stand up to rough weather. That being said, lets cover the construction details of this model. A UV-resistant, waterproof polyester makes up this tent’s canopy, while the tent bottom is made of a more durable tarp material. 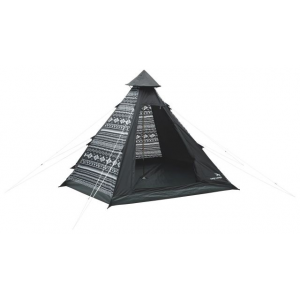 The tent’s fiberglass pole frame allows for automatic pop-up setup, and also easy take down. When folded for transport, the tent compacts into a 31 inch diameter circle that fits into a convenient included carry bag. The base of the tent measure 95 inches by 71 inches, which is plenty of space for a couple people. The tent’s center height is 39″ high, so an adult will not be able to stand upright inside of the tent. The tent weighs just 5 pounds and thus is extremely portable. The biggest drawback to this tent is its inability to handle adverse weather conditions; you could aptly call it a fair-weather tent. Reviewers report that it lets in water even in light rain so that’s an important aspect to keep in mind if you’re considering this tent. The Gazelle Pop-up Portable Camping Tent has earned the highest rating out of the tents in our table, and it also comes in at the highest price. With 61 square feet and a center height of 78 inches, this is a behemoth of a tent. 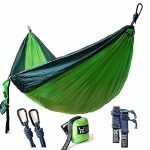 Though one might think its size would make this setup of this tent more difficult, the manufacture boasts that it can be set up in 90 seconds. 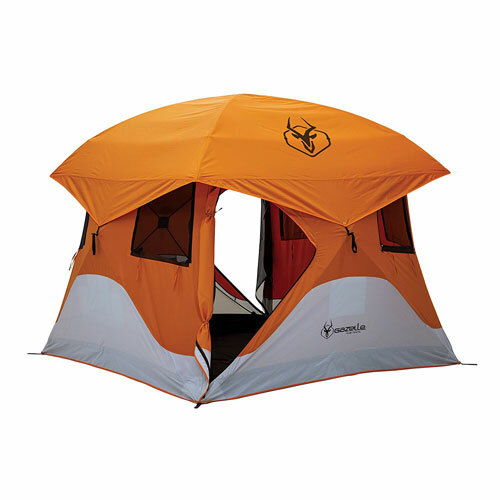 The tent canopy and floor are made of a durable polyester. One interesting feature of this tent is that the floor is removable, making it easy to shake out when dirt is tracked in. 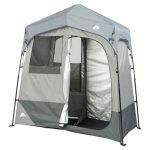 Two doors and six mesh windows are included in this tent’s design for easy access and ventilation, respectively. 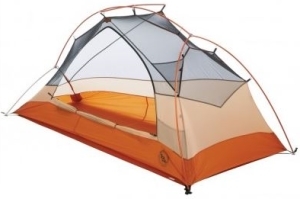 The tent also comes with a detachable rain fly and an optional gear loft. 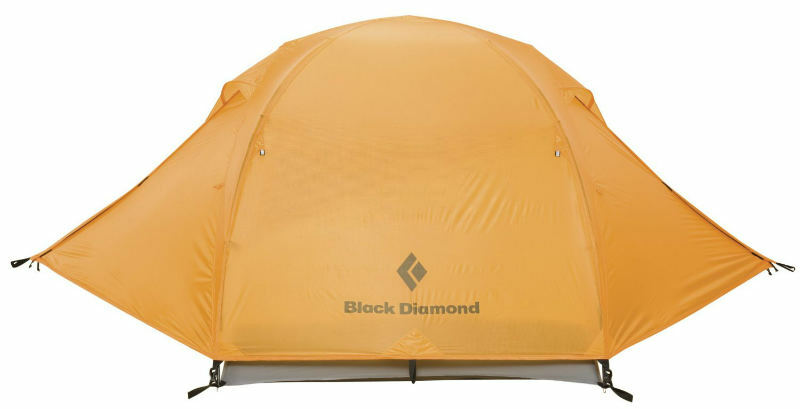 This tent is very portable considering its size and weighs just 30 pounds. Criticism for this tent are hard to come by. 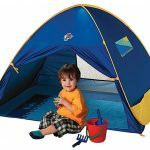 Nearly every review of this tent is enthusiastically positive. The FiveJoy Instant 4-Person Pop Up Dome Tent is a near-ideal tent for the no-hassle camper. 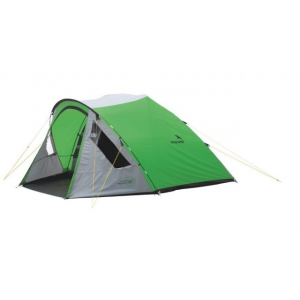 It combines good size, good quality, and easy setup into a lightweight tent. The tent is made of PU coated polyester which, as one might guess, makes the tent at least semi-waterproof. However, this tent is not recommended for use in the rain. The design includes two large mesh-enclosed windows and two doors. 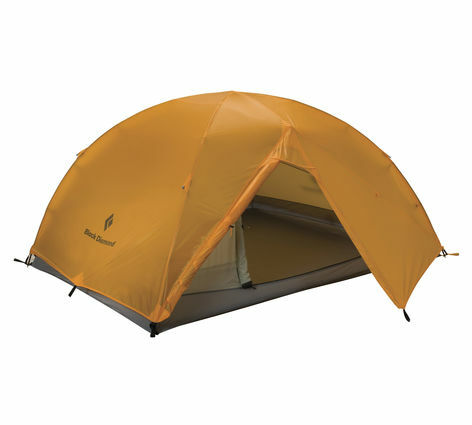 Its bottom measures 80.7 inches by 78.7 inches, and the tent has a center height of 47 inches. 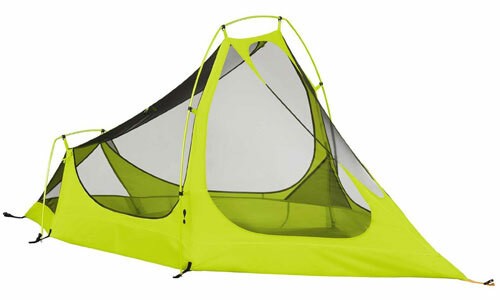 This tent weighs just 8 pounds and 3 ounces, which is quite low considering its size! There are several common criticisms of this tent. The most often mentioned is that it does not hold up well in rain. Another complaint from some reviewers is that this tent is difficult to fold after use, however this seems to be a minority of purchasers. 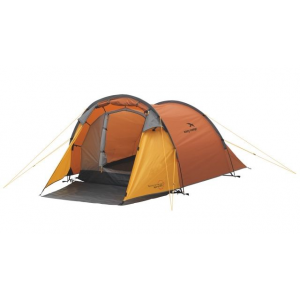 There are also some reviewers who say that the tent is better suited to two or three people instead of four. Lastly, a small number of people mentioned they had trouble with the fiberglass poles breaking.